What a title for an ERM project! 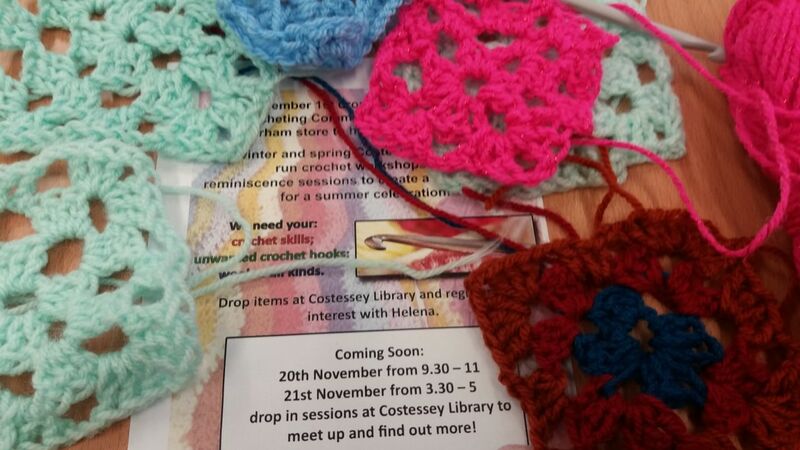 We are working with Costessey Library and Tesco in Drayton to add an element to 'Wool Week' of community cohesion. You can choose top drop your blue Tesco token in the Crochet Communnity Cohesion project bin! People are encouraged to pop into the library and learn or carry on with crocheting! Making 'Granny squares' the team will then sew them all together to make agiant (hopefully) picnic blanket that can be used in the summer to host a community picnic on!